Get $2 OFF SS Cups for a limited time! The ultimate wake-up cup, El Recreo Coffee is a superior quality 100% Arabica coffee grown on a distinguished family farm in Nicaragua. It is cultivated under Rainforest Alliance principles, which means sustainability, eco-friendly agricultural techniques and social responsibility. It has been awarded certifications and prizes due to its rich body, flavor, and aroma. 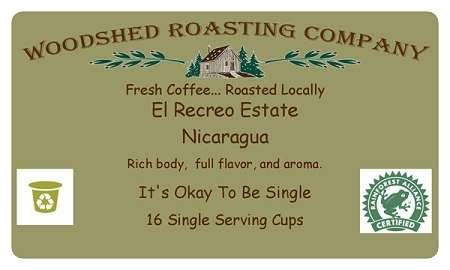 Now available in single cup serving sizes that are a perfect fit for your favorite Keurig machine. This was awesome! Bold and just bitter enough with a great flavor. Loved it.